This paper was given by the New Zealand educator David Hood on 28 July 1999 at the Auckland conference sponsored by the New Zealand Ministry of Pacific Island Affairs. Professor Hood can be reached by e-mail at davidhoodassoc@xtra.co.nz. There is nothing natural or given about the way schools are organised. The “rules” were not etched in stone brought down from Mount Sinai. Schools are the historical product of particular groups with particular interests and values at particular times. They are, in other words, political in origin. If we are to understand schooling as it is we need to understand the key influences of the industrial age – the modern era- on education. If we are to understand what schooling can and should become we need to understand the essential features of the information age, or the post-modern world. The industrial age, and with it the emergence of public services, required increasing numbers of workers with the basic skills of numeracy and literacy. From the introduction of mass manufacturing processes arose the scientific model of management or Taylorism. Frederick Winston Taylor suggested workers were “as dumb as oxen” and management must provide all the brainpower. Managers identified the one best way to get a job done, and told each worker exactly how to do the work. Production efficiency was the over-riding objective. The attitude of “don’t question authority” prevailed. The question arose regarding how to “fairly” select those children who would become the professionals, administrators and managers – the decisions makers – in industrial society. Early theories on intelligence and the advent of psychometrics provided both the justification and the mechanism for this selective process. Intelligence was seen as innate and fixed at birth. Educability depended on a child’s natural or general ability – the “g” factor. Take any cohort of children and the “g” factor could be plotted on a normal curve. Psychometrics emerged from the assumption that if intelligence was fixed, then it could be measured [precisely]. And by such wondrous means, you can be classified as a competent scholar if you get 51 percent, and a learning failure if you get 49 percent. 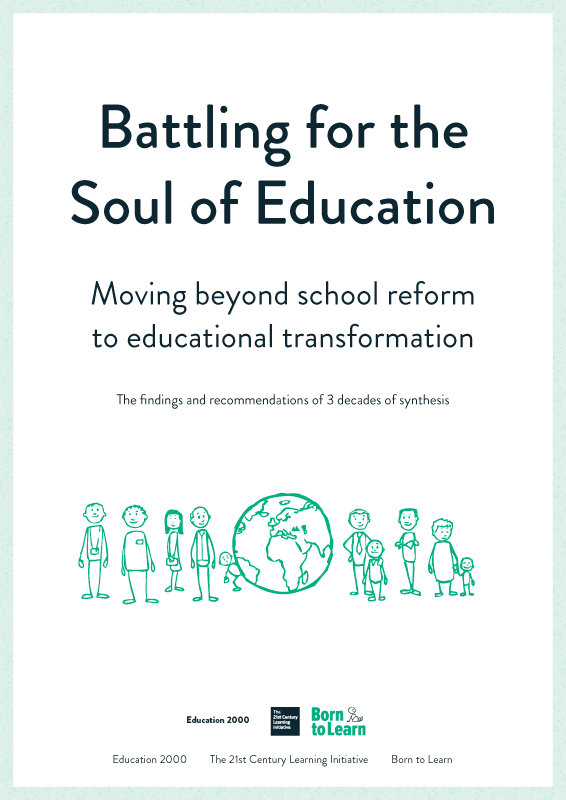 The purpose of schooling therefore became increasingly focused on selection, not on learning, initially at primary level and later [and still today] at the secondary level. The objective, to progressively sift out the 15 or 20 percent of “decision makers” required for industrial society. Schooling was also focused on preparing children for working in that society. Schools mirrored the system of mass production. Schools, in design and process, were modelled on the factory “in modern industrial society, conformity to the time of the train, to the starting of work in the manufactory, and to other characteristics of the city requires absolute precision and regularity.The student must have his lessons ready at the appointed time, must rise at the tap of bell, move to the line, return; in short go through all the revolutions with equal precision.”2 I need not remind you that in this age of accurate timepieces, which most of us own, we still ring bells in schools. While the overt curriculum was reading, writing and arithmetic and a limited range of other subjects, the covert curriculum was discipline, punctuality and repetition. schools were organised according to the classical conception of education [which] held to the view that knowledge comes from books, not from experience and experimentation. The curriculum was organised hierarchically from the simple to the complex, from the concrete to the abstract, on the assumption that that was the normal path of intellectual process [and] the age grading of the curriculum presumed a stepwise, regular increase in students’ skills, knowledge and values. Progress became the criterion of individual success and failure. Textbooks made little or no provision for children who mastered material at different rates or who might be able to learn material more easily if it were presented in a non-linear fashion [and] presupposed a universal Anglo-American child whom all children could [and should] identify with. All of these key characteristics of schooling were well established by the time universal secondary schooling was introduced in 1937. Schooling had become like one of the most influential metaphors of the 20th Century – the machine. Whether we are teachers, parents, people in business or industry, or politicians, we are stuck in an historical paradigm about what schools are and should be – of subjects with no connections between them, of filling heads with knowledge that might be needed one day, but which we know is not remembered, of rigid and inflexible timetables, of age cohorts and locking groups of children into classroom boxes, of national one-shot examinations, of rules which emphasise obedience rather than responsibility, and with traditional views about the nature of intelligence and the ability of young people to learn.